Cheating spouses were commonplace for him, though in the case of Beverly and Byron’s marriage it was not another woman, but the intoxicating power of an online world gone mad. . .
EVENTS: Book-signing/wine-tasting events and book clubs draw enthusiastic readers. SYNOPSIS: His mysterious client, Beverly, is Byron’s seductive, alluring but soon to be ex-wife. . . And now her multi-million dollar second divorce has erupted into a massive murder investigation. PROLOGUE: Once inside the hangar, two men quietly hoisted their dangerous cargo, exchanging it with a normal tank from the bin marked Sunday. But theirs had been sealed with faulty welds. . .
CHAPTER ONE: The mammoth object passing overhead was so close it startled him at first—a hot-air balloon, descending gracefully toward the bright green field beyond his deck. 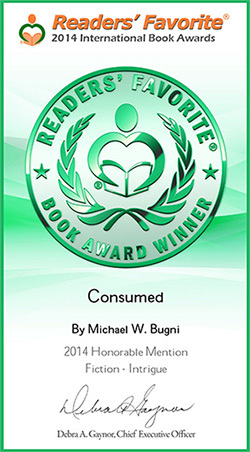 “Consumed” is a novel of suspense by author and attorney Michael W. Bugni, recently released by Archway Publishing. The book is available in hardcover and softcover, as well as for Nook and Kindle.
. . . He wondered, was it really the prenup or her marriage he’d hoped to stop? In the course of an average week, Les McKee might experience enough greed and duplicity to fuel a third world coup. Broken and battered clients drifted in and out of his office in a sad parade that never seemed to end. Cheating spouses were commonplace for him, though in the case of Beverly and Byron’s marriage it was not another woman, but the intoxicating power of an online world gone mad. 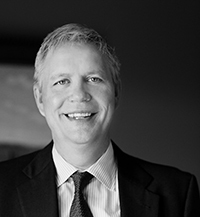 Aware of the irony, he focused on his tablet, chock-full of Digitron software, as his query brought up a dozen out-of-state-cases on the issue of debunking a prenuptial. A strange, distant hissing made him stop. He looked out at the field behind his house but couldn’t find the source. The hissing burst again, this time more abruptly, then rumbled low like steam. He turned his head up sharply, shielding his eyes from the sun’s glare. The mammoth object passing overhead was so close it startled him at first—a hot air balloon, descending gracefully toward the bright green field beyond his deck. Its giant torch fired on and off as it gently nudged its way toward earth. The pilot was orchestrating a skillful descent toward their apparent landing site in the next field over. Directing his camera phone he started to record . . .
Immersive screen replacement, or virtual reality, is closer than you think. And it isn’t coming for video-gamers only. In the same week CONSUMED was published, Facebook announced its two billion dollar purchase of Oculus Prime, the industry leader in head-tracking HMD’s (or head mounted devices). The modern landscape of smart phones, social media and alternate realities is about to undergo a sea change before our very eyes. In CONSUMED readers will catch a glimpse inside the real time world of cutting-edge technology, which in the novel explodes unexpectedly, splashed across the front page of the Seattle Times on April 13, 2014, thanks to the brazen legal maneuverings of Byron Wells, who decided to go rogue in the midst of his highly-publicized divorce. April 13 was also the novel’s launch, during the first of two book-signing events at Eight Bells Winery in Seattle. Follow the events of “CONSUMED” as we follow the intersection of technology, social engineering, and in this story… the drama-inducing landscape of modern-day divorce. 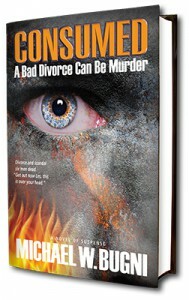 It is said there are no good divorces… but a bad divorce can be murder. TOTALLY CONSUMED. Mike Bugni has written the best legal suspense novel I’ve read. My only grief was that it ended. CONSUMED has more twists and turns than the canyons of California. It reads as if you’re watching a movie. The cliff-hangers will keep you on the edge of your seat. You will feel like you’re there, in the story, watching and hearing every move. You’ll feel sweat dripping as you read. Once I picked it up, it became an extension of my right arm. The attention to detail is amazing and so is the suspense. A superb and pulsating read you will not be able to put down. MOVE OVER ALL OTHER LAWYER-AUTHORS. The new kid on the block, Bugni, just wrote the best legal mystery I have read in years. I devour them, but this one stopped me in my tracks. I literally could not put it down until I finished it. Perfect combination of scene settings, human emotions and down right perfect good versus evil. I loved the pace, I loved the characters, I felt like I was experiencing it in person. If you love mysteries you will want to own this one. WHAT AN EXCELLENT AND WILD RIDE! Plenty of twists to keep you turning the pages until the end. Intelligently written, with plenty of local flavor from the Pacific Northwest. I sincerely hope Michael continues his writing and wouldn’t be at all surprised to see his work compared favorably to Grisham, Coban and Margolin. Best Novel I've Read in Years! Consumed is simply a FANTASTIC read! It grabs you from the first paragraph and never lets you go! Suspense and technology smartly intersect, creating sweat-inducing, palpable entertainment. Can't wait for the sequel and/or the movie! Highly recommend. I was hooked all the way to the end of this book and wanted more. An amazing first book! Great read! A Book You Can't Put Down. OMG. What a thrilling ride Michael Bugni has created. I could not put this book down. I bought the hard copy but had to download it also on my Kindle so I could read it while waiting in court or waiting at stop lights. I can't wait for the sequel. Darn. I didn't want it to end. A well-written thriller. As a family law attorney, I was interested in this book. Bugni does an excellent job of interweaving real world family law situations with exciting suspense. I read the book in just a few days on vacation, and I had a hard time putting it down. I recommend "Consumed". Please read the book and send us a review. We'd like to hear what you think, and we'll post comments here on the site.